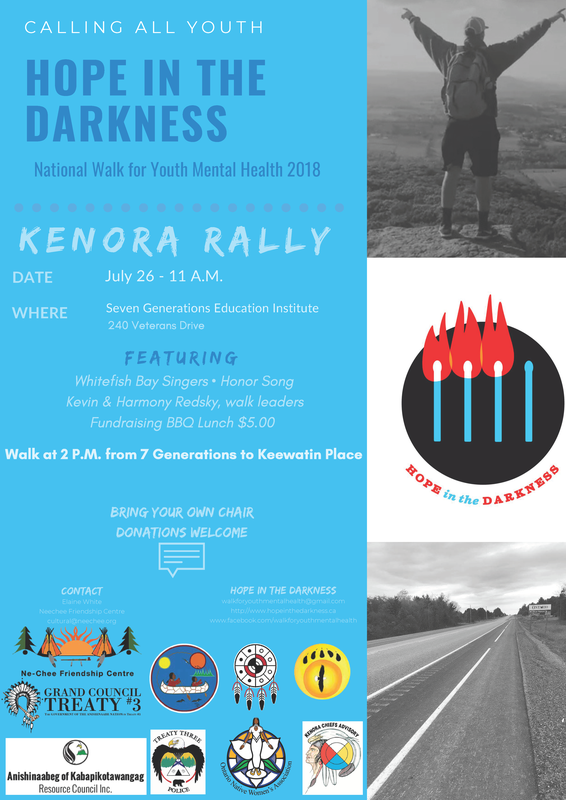 Kenora, Ontario, Monday July 16 – The Hope in the Darkness National Walk for Youth Mental Health will arrive in Kenora on July 26. A welcoming ceremony is planned, starting at 11 a.m., at Seven Generations Education Institute, 240 Veterans Drive, followed by a fundraising barbecue. A walk to Keewatin Place will commence at 2 p.m. Everyone is welcome. 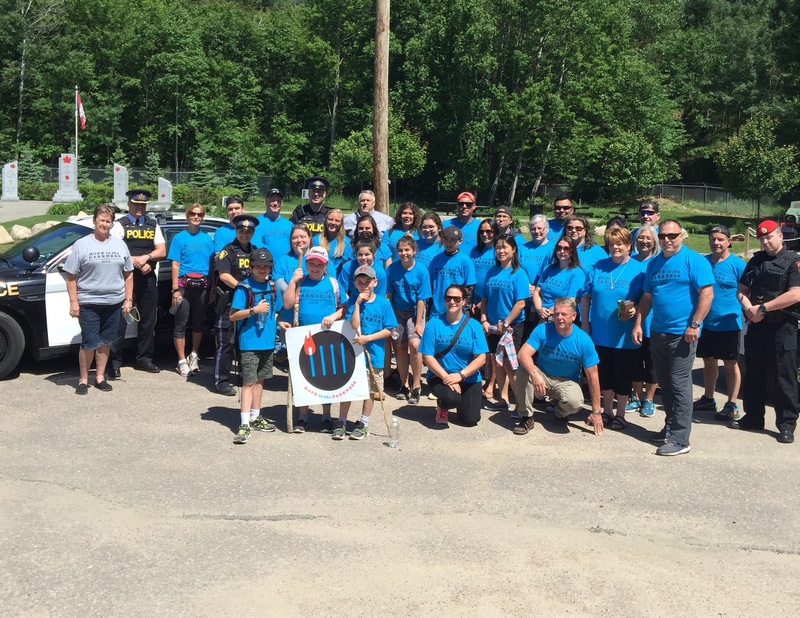 Since it began on April 1, 2018, the walk along the TransCanada Highway has brought together youth, families, communities, police, and mental health service providers from the east and west coasts. 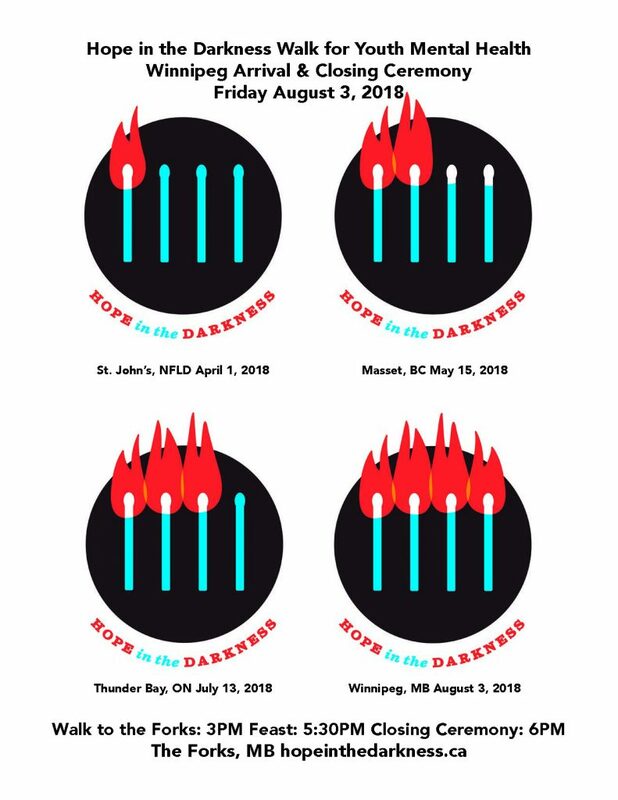 Walkers from the two directions will meet for a grand finale in Winnipeg, Manitoba, on August 3. 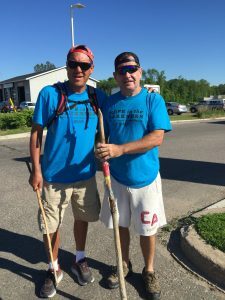 Redsky and his team will walk into Kenora prior to the welcoming ceremony, which will include traditional greetings and prayers, words from local dignitaries and elders, and the singing of the Honor Song by the Whitefish Bay Singers. 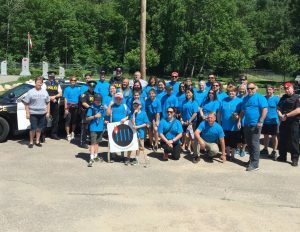 Youth and others are invited to join the 5.8 km walk to Keewatin, which will continue on to Granite Lake later in the day. While he won’t be at the Kenora event, Mitchell Boulette who is a Treaty #3 Youth Mental Health Police Officer, is representing the local precinct by walking from the east beginning at Tilley, Alberta. This is Boulette’s second stint donating his time for the walk which, he says, hits close to home. He had a cousin die by suicide and has personally recovered from depression. 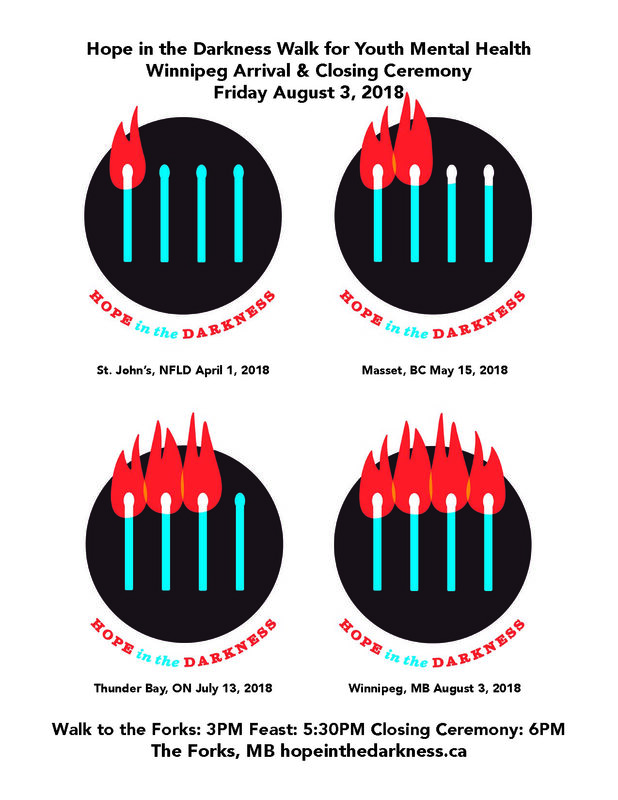 There is also a Facebook page for the July 26 event that will include the latest updates: https://www.facebook.com/hopeinthedarknesskenorarally. The planning committee extends sincere thanks to the many organizations that have helped with funding and in-kind support. A full listing of sponsors is on the Facebook page.